In 2007, tragedy struck the U.S. Olympic Marathon Trials. Ten years later, Ryan Shay’s legacy of inspiration lives on. On November 3, 2007, Ryan Shay fell and hit his head in Central Park five-and-a-half miles into the U.S. Olympic Marathon Trials. Shay was fit, one of only 131 Americans who had earned the right to stand on the start line that early Saturday morning and compete for one of three spots at the 2008 Olympic Games in Beijing. Like many of his competitors, Shay’s heart was large. The heart is a muscle, and muscles grow larger the more they are used. And to run a marathon in 2:22:00 or faster — the Trials qualifying standard — one must exercise the heart frequently. But Ryan Shay’s heart was also very different from those of his competitors. Even for a runner, it was large — his doctors had told him as much when he was 14 years old. His resting heart rate, in the 20s, was extraordinarily low. It was something his wife, Alicia, noticed sometimes when Ryan didn’t have a shirt on — a low, slow throbbing in his chest. A few months before the Trials, after undergoing testing at the Olympic Training Center in Chula Vista, California, Shay had been told that he may one day require a pacemaker because of that low heart rate. Finally, Shay’s heart had fibrosis, also known as scarring, possibly the result of battling pneumonia as a teenager, though to this day nobody knows for sure why it was there. That morning, at 8:06 a.m., Ryan Shay’s heart betrayed him. After he fell, just north of the Central Park Boathouse, Shay was quickly surrounded by spectators and volunteers, but neither they nor any of the paramedics who showed up approximately six minutes later could do anything to get Shay’s heart started again. Shay was pronounced dead at Lenox Hill Hospital at 8:46 a.m. He was 28 years old. When the autopsy was released, over four months later, the New York medical examiner concluded that Shay’s death was due to an irregular heartbeat as a result of his scarred, enlarged heart. Ryan Shay had not been one of the favorites to make the team that morning, not the way he had been four years earlier when he entered the Olympic Trials as the reigning U.S. marathon champion (he wound up 22nd at the ’04 Trials after battling a hamstring issue). That marathon crown was one of five U.S. titles Shay earned on the roads, in addition to the NCAA 10,000-meter title he claimed at Notre Dame in 2001 — the school’s first in any outdoor track event since 1956. He had commanded that NCAA final from start to finish, leading the final 24 laps and winning by over 20 seconds. Shay was also one of the first Americans of his generation to move to the marathon early in his career, running 2:14:30 in his debut at 2002 Chicago at age 23, a trailblazing path followed by all three of the eventual 2008 Olympians — Dathan Ritzenhein debuted at 23, Ryan Hall and Brian Sell at 24. Shay’s desire for hard work — and his body’s ability to handle it — was legendary among his peers. For Hall, one word came to mind when he thought of Shay: fire. 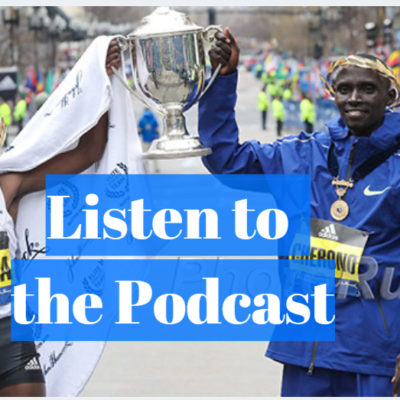 Now read those quotes again and remember that Ryan Hall — legendary for his intensity in his own right and the fastest American marathoner in history — is the one saying them. During training, Shay was as serious as they come. Outside of it, he was as classy as they come. Shay’s death was an earthquake that sent seismic waves through the running community. The waves hit Alicia earlier than most. She was by the nine-mile mark when Phil Wharton, Shay’s physiotherapist and friend, told her Ryan had fallen. She made it to the hospital only a few minutes after Ryan did, but by then there was nothing the doctors could do. Half an hour later, he received another call, from one of the doctors at Lenox Hill, letting him know that Ryan had died. In a state of disbelief, Joe pulled the van off to the side of the road and adjusted to his horrible new reality. He and Susan unloaded his runners, who were then distributed among the caravan of parents following behind, and headed to the Detroit airport so that Susan could fly to New York. The news took longer to reach Hall, who won the race in 2:09:02 thanks to an incredible 62:47 second half over the Central Park hills. An ambulance had rushed past him during the race, but Hall hadn’t given it any thought at the time. A week after Shay’s death, the running world descended on his hometown of Central Lake, a village near the tip of the space occupied by the ring finger in the mitten of Michigan’s Lower Peninsula. So many people came, in fact, that tiny Central Lake (2010 population: 952) could not hold them all; the memorial service was held in nearby East Jordan, at the Harvest Barn Church. Tributes poured in from around the globe; the front page of this website was black for more than a week as runners mourned the loss of one of their own (you can view LetsRun’s Ryan Shay tribute page from 2007 here). For Alicia Shay, that first week was by no means easy, but it was easier than the weeks and months that followed. Planning a funeral and tending to Ryan’s affairs kept her busy, and even when she did find a moment to herself, the shock had not worn off enough for her to grieve. No, the worst part came when Alicia returned to Flagstaff. When she and Ryan had left for New York, their future had been mapped out clearly. They had been married in July but had not been on their honeymoon yet; Ryan had planned a big trip to New Zealand for them in the new year. Ryan knew his running career was coming to an end and had his sights on law school. They had already picked out their future children’s names and the Flagstaff neighborhood (Baderville) where they would raise them. Instead, Alicia returned alone. A house that had been filled with love just a month early was now silent. Unfortunately, this was not the first time Alicia had lost a loved one. In high school, her boyfriend, Wayne Chaney, had died of cancer. Upon her return to Flagstaff, she plotted a course of action, a list of the “right things” she would do to keep her mind and body healthy in Ryan’s absence. She would continue to live in the same house. She wanted to remember Ryan, to see his clothes and his coffee mug and the table where they ate dinner. She also decided to keep the house full of people who cared for her. She opened her doors to friends and former Stanford teammates such as Lauren Fleshman and Ryan and Sara Hall and anyone else who wanted to stop by. Another of the “right things” was staying strong for those who mourned Ryan’s death. So whenever someone asked her how she was coping with the grief, Alicia would lie and tell them, I’m doing okay, I’m hanging in there. “I was always putting on this front for other people because I felt like it made other people feel better to not know I was doing poorly,” Alicia says. Finally, Alicia decided that it was important that she continue training, for she was an outstanding runner in her own right. She had graduated from Stanford as the collegiate record holder in the 10,000 meters (32:19) and placed fourth at USAs in the same event in 2007. Two months before Ryan died, Alicia had won her first national title at the US 20K Championships in New Haven. After coming one spot shy the year before, her goal was to make the U.S. 10,000 team for the 2008 Olympics. Training was Alicia’s coping mechanism. Whenever her grief became too much, she’d head out the door and redirect those emotions into her run, pushing until she was so tired that she could think of nothing other than her own exhaustion. But Alicia possessed a lot of grief and only a finite amount of energy. She began feeling tired all the time and wasn’t sleeping well. Alicia eventually tore her labrum, causing her to miss the 2008 Olympic Trials, but even before that, her body was a mess. 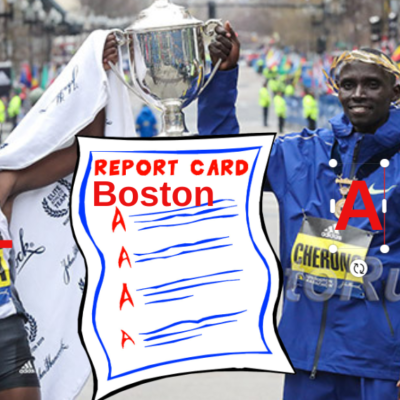 Outside of running, things weren’t going much better. There were a lot of details about the couple’s finances that had to be sorted out after Ryan’s death, each of which was a source of stress. Alicia also realized that staying in the same house had been a bad decision. At first, the reminders of Ryan everywhere had helped, but eventually, they only brought sadness; they were just reminders of what Alicia no longer had. Eight months after Ryan’s death, she decided to move out. She found a nice spot in the shadow of the mountains just outside Flagstaff. It was quiet there, the only noise the horses that roamed nearby. 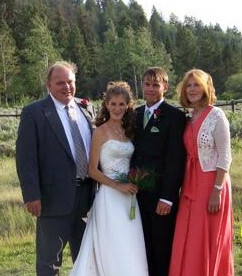 It reminded Alicia of her home state of Wyoming. Though she had a roommate in her new place in ultrarunner Rob Krar, Alicia thought it would be good for her to be around more people. Growing up, her family always had a few extra guests on their 14,000-acre cattle ranch. Usually, it was a friend or extended family, but on at least two occasions, her father, a cowboy, returned home from a rodeo with a hitchhiker. One of them lived with the family for five months. Soon Alicia was on the hunt for another new place, and in February 2009, she bought a spacy seven-bedroom house in Flagstaff’s University Heights neighborhood. A rotating cast of runners in town for altitude filled the rooms, helped cover the mortgage, and, most importantly, provided company for Alicia. But Alicia still felt tired all the time and, two years on from Ryan’s death, she still hadn’t raced. Unable to run, Alicia tried to work through her grief alone, but it became too much. 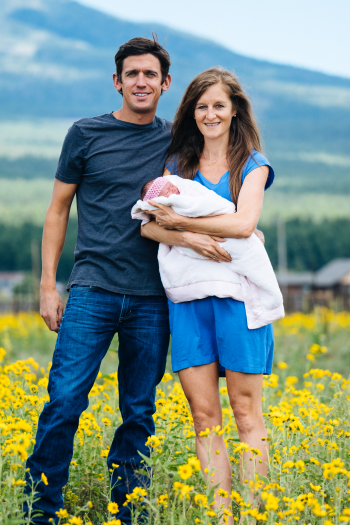 In 2010, she began seeing a Flagstaff naturopath, Dr. Mark James, and was diagnosed with adrenal insufficiency. He also taught Alicia healthier ways to deal with the pain of Ryan’s death. She didn’t need to try to be strong all the time. It was okay to be sad. It was okay to be vulnerable around close friends and family. Finally, in 2012, Alicia returned to the roads, but it wasn’t the same. Road racing was something she and Ryan had done together; without him, it felt empty. But Alicia wanted to keep running. A few friends were running a mountain race and convinced Alicia to give it a try. Growing up in Wyoming, she had always loved running and always loved the mountains but never thought about combining the two. Immediately, Alicia was hooked. She found out that Nike sponsored a trail running team and emailed one of their runners, Chris Vargo, to find out more about it. In 2013, she signed with Nike and joined the team. Joe Shay still visits his son’s grave five times a week. It’s a short drive from his house in Central Lake to Dunsmore Cemetery in Echo Township, and as he heads out along Old State Road, he’s reminded of the miles Ryan used to log on it. When Joe arrives, he walks over to Ryan’s gravesite. The monument there is five pieces altogether, all Bahama Blue Granite, imported from India. Two upright pieces form an arch, sandwiching a pedestal below, on which a small sculpture of Jesus Christ is mounted. Two more pieces abut the monument to the right as you’re walking up to it, forming a bench. 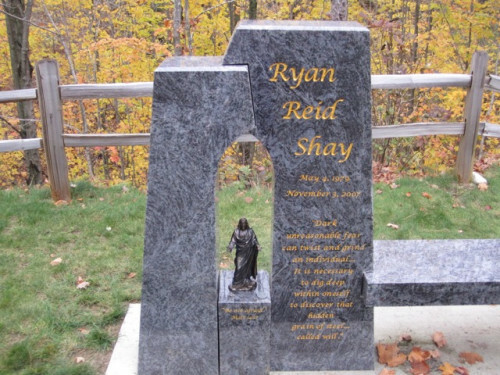 The central piece is inscribed with the words “Ryan Reid Shay” in gold lettering. Below that, in smaller letters, is a quote from the valedictory speech Ryan gave to the Central Lake High School Class of 1997. Dark unreasonable fear can twist and grind an individual…It is necessary to dig deep within oneself to discover that hidden grain of steel…called will. Sometimes, particularly in August around the time of the Ryan Shay Memorial Cross Country Invitational, Joe will find stones or other trinkets left by other runners. But usually, it’s just him and his thoughts. Lately, Joe’s been thinking about family. Ryan would have turned 38 this year, and most of the 38-year-olds Joe knows have children. What if Ryan had some children? I wonder, would they have been like him? Joe used to visit the cemetery more frequently. For the first five years after Ryan died, barely a day went by when he did not visit. Sometimes he went twice a day. It was hard for the Shays back then. Ryan’s friends would approach Joe and Susan, talk about Ryan, ask how they were doing. Joe would see the sadness in their eyes, and, like Alicia, would try to be strong, would try to comfort them because he knew the pain they felt all too well. Joe Shay still misses Ryan terribly, thinks about him every day. But he has accepted Ryan’s death. A few years ago, on one of his visits to the ceremony, Joe realized that no amount of praying or worrying would change what had happened. “There was nothing that was going to bring him back,” Joe says. So he focuses on doing the best he can to honor Ryan’s memory. And nowhere is Ryan’s memory more alive than on the roads of Michigan. He and Susan put on two races every year, with the proceeds going to the Ryan Shay Memorial Scholarship, which they award to one or two Central Lake students each year (requirements: 3.5 GPA, three years of track or cross country; anyone going to Notre Dame or its sister school, St. Mary’s, automatically receives a scholarship). The first race, the Ryan Shay Mid Summer Night Run, takes place every July 4 and, as the name suggests, is held at night so the racers can head from the finish line to the bleachers at Central Lake High and watch the fireworks. The second is the cross country meet in August, which this year attracted 24 high schools. Usually, they’re able to raise somewhere between $1,000 and $1,200 after covering their expenses. Twenty miles north, in the town of Charlevoix, three Charlevoix High alums, Matt Peterson, Doug Drenth, and Douglas Bergmann, stage the Ryan Shay Mile every July. In the summer of 2008, the trio took over as race directors of the Drenth Memorial Foot Race, a race staged in honor of Jeff Drenth, Doug’s brother and another Charlevoix alum who went on to run for Athletics West before dying at age 24 in 1986. Growing up, Peterson, Drenth, and Bergmann had been inspired by a race in Traverse City, one hour south, called the Golden Mile. They wanted to add a road mile to the Drenth Memorial Foot Race and inspire others. But they needed a name. Peterson, who coaches at East Jordan High, had only crossed paths with Shay a few times, but that was enough to make a lasting impression. The first time came at a high school invitational hosted by East Jordan. Ryan was only in eighth grade, but Joe Shay convinced Peterson to let him run in the high school race. That is how the Ryan Shay Mile came to be. And for a small race, it pulls in solid professional fields. 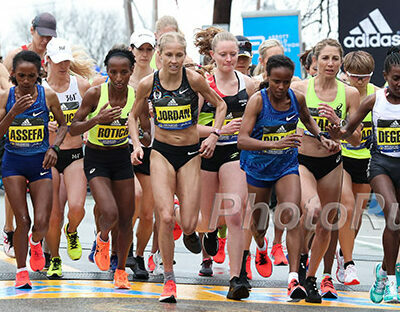 Nine different men have broken 4:00 over the last five years, while eight different women have broken 4:30. 2016 Olympic finalist Nate Brannen of Canada ran the most recent version, which finishes right in front of the Charlevoix City Marina, just a few strides from the shores of Lake Michigan. Before every race, just before the runners are introduced, the P.A. announcer will spend a few minutes describing Ryan Shay, the runner, and Ryan Shay, the person. After the race, there’s a banquet, where the runners get to meet Joe and Susan Shay. For Susan Shay, there is no better legacy for Ryan to leave. When Alicia Shay sent that email to Chris Vargo in April 2013, all she wanted was to learn more about Nike’s trail running team. He shot back some details and let her know he would be in Flagstaff for a few days if she wanted to meet up. They spent the weekend together, and Chris was so taken with Alicia that barely two days after they had met, he went back to his home in Colorado Springs, packed up his stuff and moved to Flagstaff. They were married in September 2016 and on July 18, 2017, Alicia (now Alicia Vargo) gave birth to their first child, a girl named Skylar. Alicia, now 35, hasn’t raced as much as she would have liked in recent years. She finished fourth at the Transvulcania Ultramarathon in the Canary Islands in both 2015 and 2016, but in between, she battled a case of viral cardiomyopathy, something that had left her feeling weak all the time. Alicia is happy. She has Chris, she has Skylar, she has a trail running contract with Hoka One One and an online coaching business on the side. 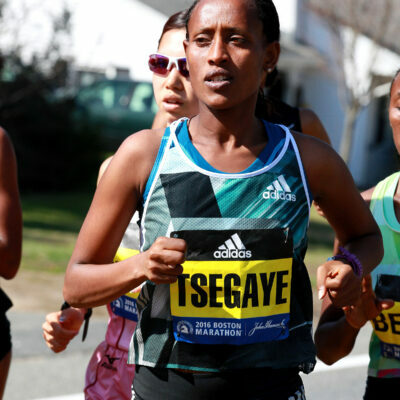 She says she’d like to run the New York City Marathon one day. But she will never be whole again, the way she was on the morning of November 3, 2007. “It’s a testament to the kind of life that Ryan lived and the man that he was that 10 years later, I still feel a big part of my life is missing,” Alicia said. Joe Shay retired from coaching at Central Lake a few years ago as a result of some health issues (spinal stenosis and diabetes) but he and Susan remain deeply involved in the sport. Ryan was passionate about running and improving himself, so the Shays try to promote those passions by volunteering at as many races as they can. On weekends, they’ll hop in their car, show up at a road race and help however they can. Every so often, a letter arrives in the Shay mailbox from a young runner, someone who read about Shay or heard stories from a parent or coach, a reminder of the lives Shay touched — and the ones he’s still touching. Shay’s legacy extends beyond Michigan. Joe Vigil is now 87 years old but still coaches pros such as Brenda Martinez and Diego Estrada. Coaches still ask him about Ryan at meets, and Vigil still tears up when they do. Joe Shay hasn’t been to New York City since Ryan’s death. 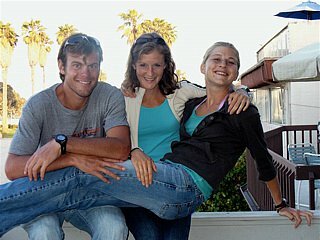 Ryan’s sister, Sarah (he had seven siblings), was supposed to run the New York City Marathon in 2010. Instead, once again, Joe Shay received a call that one of his children was in the hospital — Sarah had been taken in the night before the race for an emergency appendectomy and did not get to run. She returned the next year and finished the race. Joe says he will make it back to New York one day and visit the bench in Central Park dedicated to Ryan’s memory. 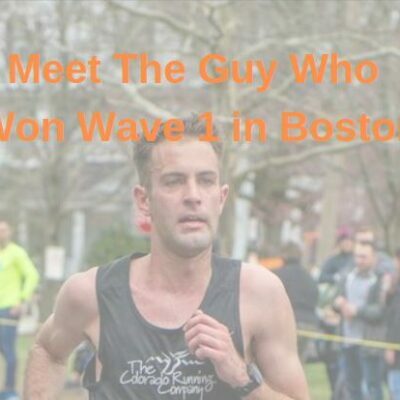 It will not be easy for Joe to visit the place where Ryan fell 10 years ago, setting off those seismic waves that still ripple around the running community. But Ryan Shay left his father some advice on how to make the journey. Joe Shay sees it almost every day. It is necessary to dig deep within oneself to discover that hidden grain of steel…called will. Talk about this article on our messageboard. 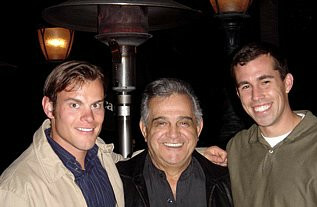 MB: Remembering Ryan Shay 10 Years Later. 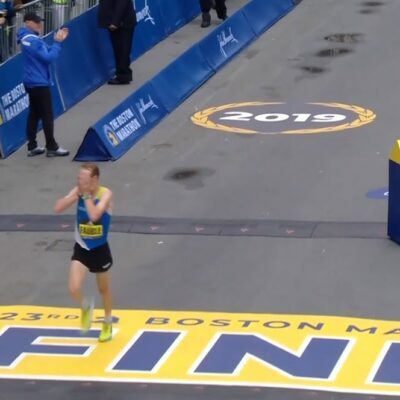 LRC Official Ryan Shay Remembrance Thread Started by Ryan’s father Joe, this thread generated over 600 posts worth of tributes, including ones from professional runners such as Meb Keflezighi. Did you enjoy this article? Please consider making a small donation to the Shay Memorial Foundation to help fund a scholarship. We looked into figuring out a way to charge $1 for access to this article so we could donate all proceeds to the Shays but none of the micropayment solutions looked very promising. Photos used in this story were courtesy of Alicia Vargo and the Shay family.